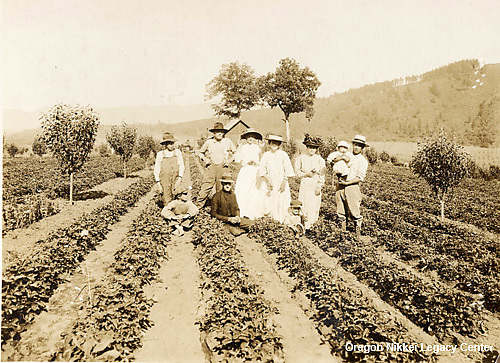 Japanese began to arrive in the Hood River area by 1900. Hopes and dreams brought them to this verdant valley along the Columbia River. The promise of a better life in America, adventure, new opportunities –- Issei, the first generation, had courage and determination in common. They traveled from many parts of Japan, settling in Oregon's Hood River area, and built a strong, vibrant community. Photo: Courtesy of Hamada Family.